Expert tips on how to navigate your favorite big blue box. It's the store we love to hate. OK, maybe not hate because we really do love it. But it's well-understood among IKEA shoppers that when you enter the cavernous blue building it's like another dimension of time and space where we lose track of where and when we are, not to mention why we're there. We're seduced by the promise of the perfect, hygge (well, lagom if we want to be Swedish about it) life we can have at home if we just buy every single thing so conveniently displayed in the Swedish retailer's showroom. Entering the store we're dazzled by possibility, but somewhere between the Billy bookcase and the Poäng chair the truth reveals itself. We're in a gauntlet, a lab-rat maze and the only way out is to load up our carts and give them all our money. And then the fun really begins because we're headed home to somehow turn a bunch of boxes and parts into a new living room or bedroom and not break up with our partner or turn to unhealthful habits in the process. An IKEA expedition is something to gear up for, particularly if you have to factor in a road trip to get to their nearest store. Never fear, if you're inspired by the gorgeous new catalog to make the trip, we have some tips to not only survive the trip, but maybe even emerge feeling victorious. 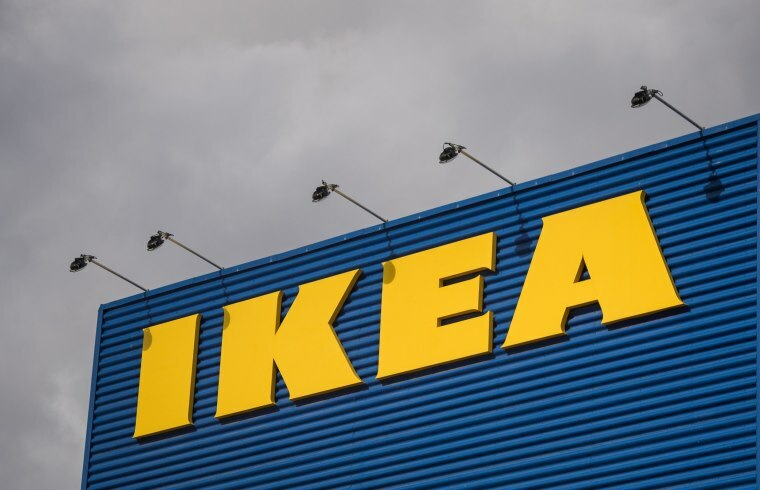 Jules Yap of IKEA Hackers and IKEA spokesperson Janice Simonsen weighed in, and I'm along to supplement with some hard-won wisdom earned from outfitting much of several apartments via IKEA. So you don't have to whip out the tape measure at every stop, “all measurements are listed on the pricetag,” Simonsen said. A must-do, Yap said, is to sign up for the IKEA family card. “You earn points that can be redeemed to offset your next purchase. And there are also exclusive discounts for IKEA family members.” Those discounts change every month; at the time of this writing members get 20 percent off duvet covers sets, curtains and kitchen pots. What's more, you get free coffee or tea in their in-store restaurant, because caffeine is necessary. And one lucky person at each store will win $100 by using the card – you're eligible even if you just swipe it at the store kiosk and don't buy anything. Yap also suggests the store's credit card. The no-annual fee Visa comes with a 25 buck bonus for signing up plus rewards for charging up a storm at IKEA. You'll get five percent back on what you spend at the store as well as at their installation and assembly services. It drops to three percent on dining, grocery and utility purchase with everything else a one percent reward. (Just be careful if you don't plan to pay it off immediately; the standard purchase APR is a whopping 21.99 percent.) Rewards come in $15 increments along with your billing statement and you can't sit around on them – they're only good for 45 days. Another card option gives you more time to pay for bigger purchases. IKEA's Project card offers 0 percent interest for 6 months on a purchase of $500 or more; 0 percent interest for 12 months on $1,500 or more; or for really big expenditures, 0 percent interest for 24 months on $5,000 or more. If you don't pay the balance in full you're hit with that 21.99 percent afterwards. If you're determined to make this a quick trip and want to avoid the worst of the crowds, Yap says Mondays are usually the quietest day. Or time your visit to arrive right before closing time. “Usually the crowd would have dispersed and no queues,” she said. I've also skipped the showroom and headed straight for the marketplace to avoid temptation and slash the miles covered. Otherwise, Yap said, “expect to spend three to four hours at a store. Wear comfortable shoes. Bring a water bottle.” I'd add to that: Never. Go. In Hungry. Or hangry will soon follow. Either pack a couple of snacks, or hit the affordable restaurant inside as soon as you get there for some sustenance to see you through. And if you sprung for your IKEA cabinets and then the sale hits the next week? Get in touch with your store; customers have reported getting the difference back. While their prices are already sometimes ludicrously low, there are even better bargains to be found. “Don’t miss out on the as-is [section],” Yap said. This department is where display pieces and discontinued items are offered up for even lower prices, Simonsen explained. Theories online vary as to the best time to hit the as-is, but while it seems there's really no bad time, from late Monday afternoon (after the crew have had a chance to restock after the weekend) through Wednesday may possibly have the best selection. Yap recommends checking with an IKEA co-worker at your store though, to see what their replenishing schedule is. And I'm not talking a shopping companion (although that could be helpful!). Last year IKEA bought Taskrabbit, the the on-demand platform for hiring people to do the things you don't want to do (and what's higher on that list than assemble furniture!?). “Taskers” can be available as soon as the next day so you're free to do things more enjoyable than parse the instruction cartoons and curse. Sometimes the best way to IKEA is to not go to IKEA. When I outfitted my full-time Airbnb I debated driving 90 miles to the nearest store or ponying up $89 for picking and delivery of a mini-sink and a slew of odds and ends (no furniture). In the end I decided I'd probably save the $89 in not making impulse purchases, so opted to have IKEA come to me. It was my most enjoyable IKEA shopping experience yet, and the package delivery had the feel of Christmas morning to it.